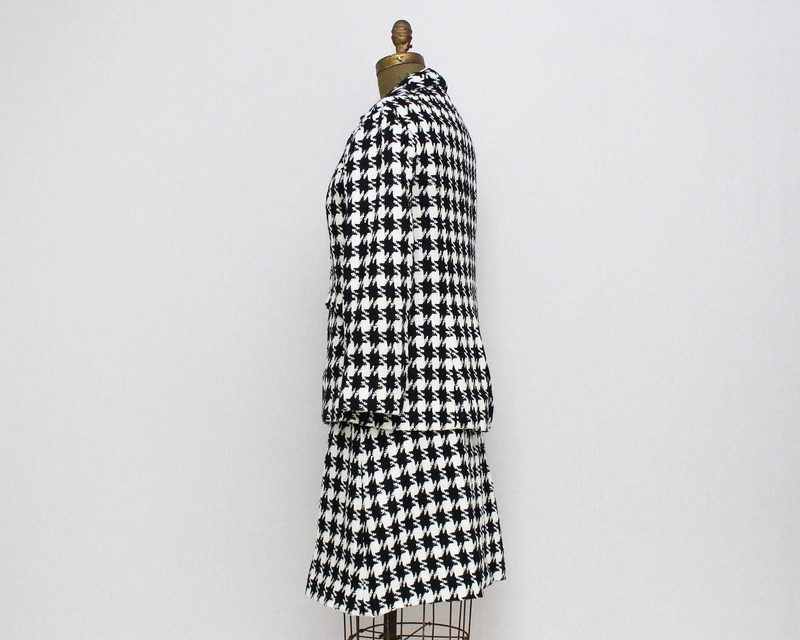 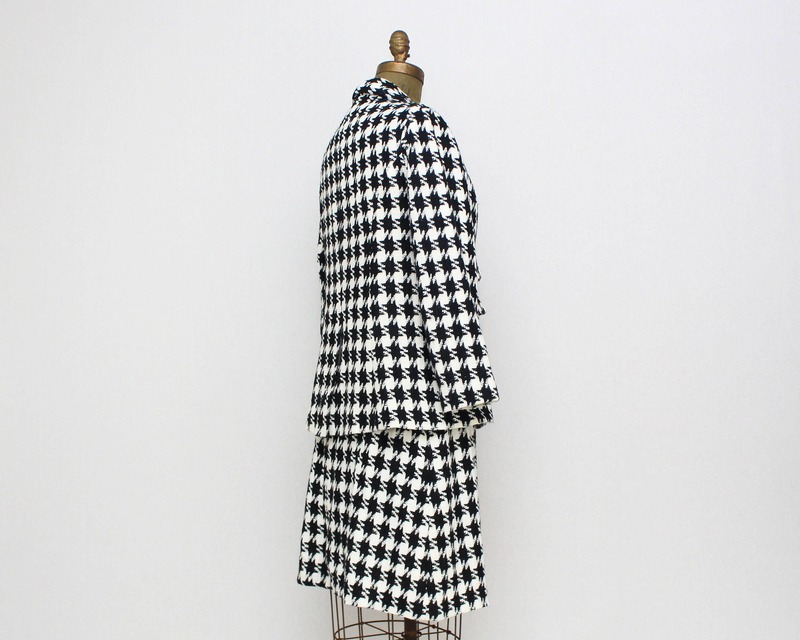 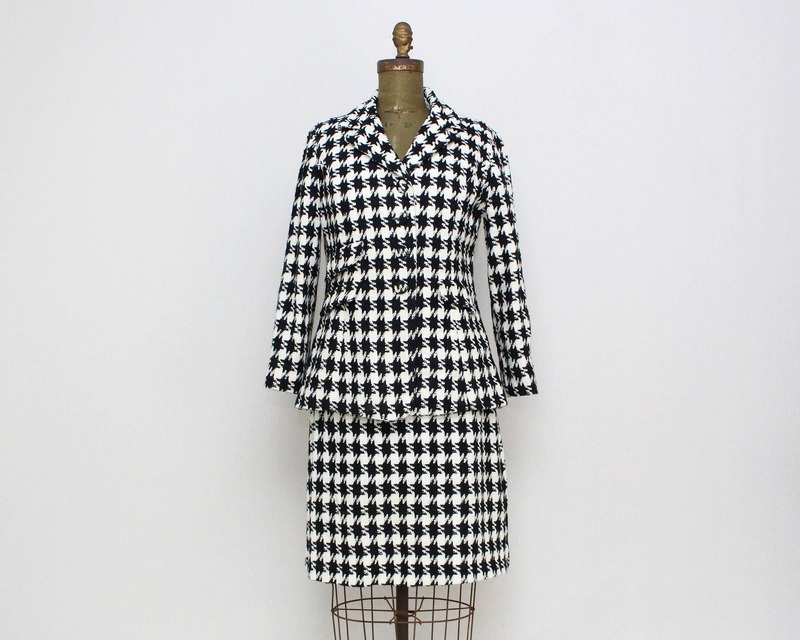 A chic vintage black and white houndstooth skirt suit from the 1960s. 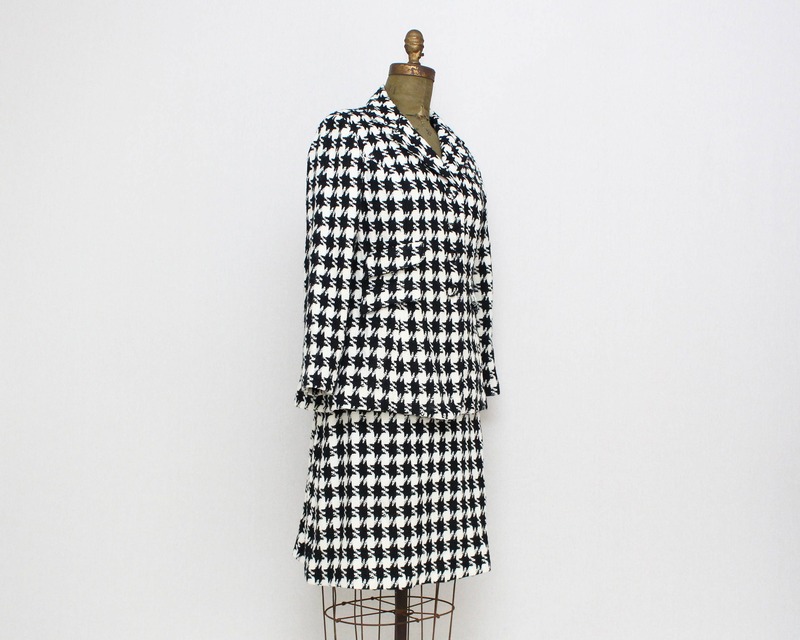 The skirt and jacket both have covered buttons. 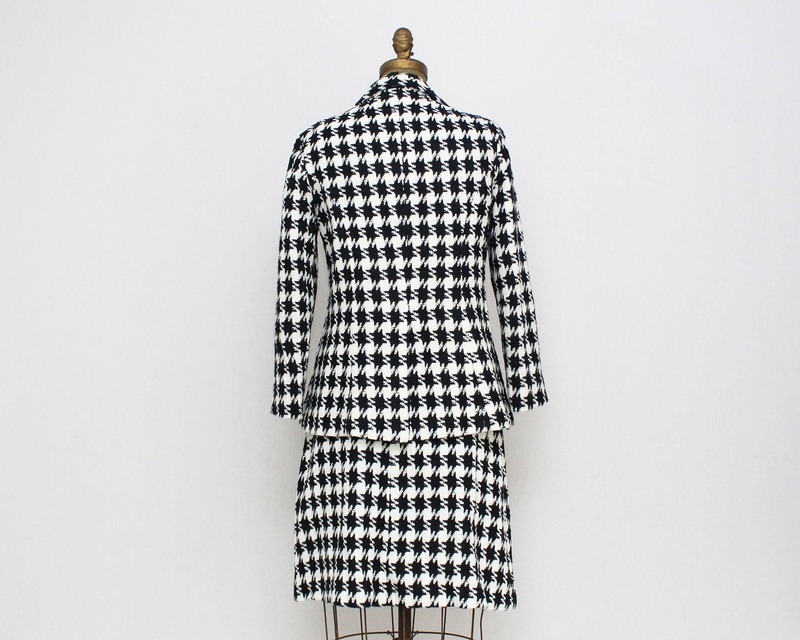 Jacket is lined, but the skirt is not. 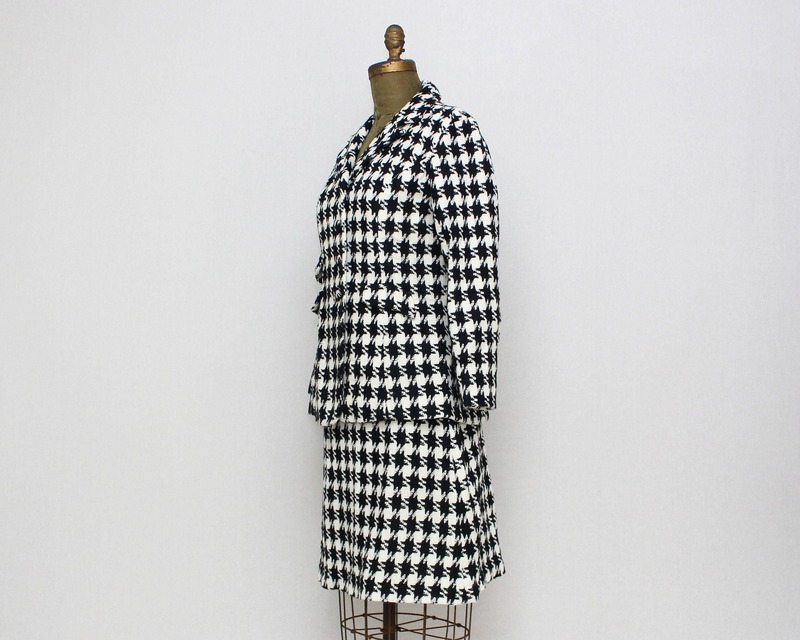 Jacket has button closure, and the skirt zips and buttons. 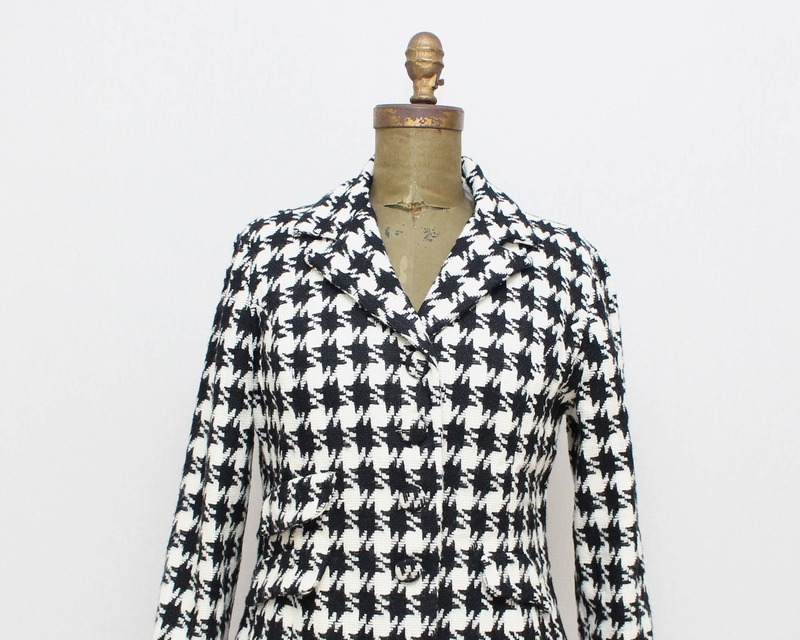 No noted flaws, aside from some flaws in the lining of the jacket.